The contract, worth £23m, will upgrade the existing runway, improve drainage and install new arrestor beds to improve safety. The resurfacing work will extend the life of the runway by 10 to 15 years. RAF Northolt is the RAF’s strategic site in London, home to 33 supported units from all three armed services and wider government and houses No 32 (The Royal) Squadron, which provides air transport to UK government and military leaders on official business, as the resident flying squadron. Lagan operations director James Aikman said: “Having successfully recently completed RAF Gibraltar, RAF Akrotiri and now nearing completion at RAF Marham, Lagan Aviation and Infrastructure is delighted to have been awarded the runway refurbishment contract at RAF Northolt." 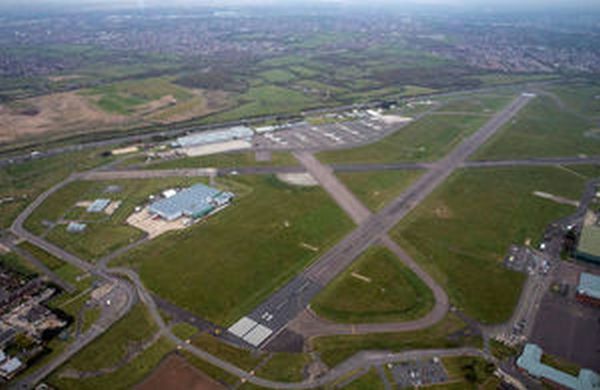 The airfield works are expected to take around six months with the runway being closed for renovation from spring to autumn 2019. During this time, military planes will operate from RAF Benson in South Oxfordshire and civil aircraft from the many commercial airports available. It always surprises me how much green space there is around Northolt - particularly to the north .Recussitation of runway 31 could be extended considerably and offer clean approaches over the Western avenue rather than West Ruislip .Also departures would impact the Western avenue.Having worked at Bealine/Bourne school and living by Ickenham station it is a fact of life and should be utilized fully for development .Certainly there is cost to be offset against expansion .Too long it has been a protected enclave - free it up and develop .